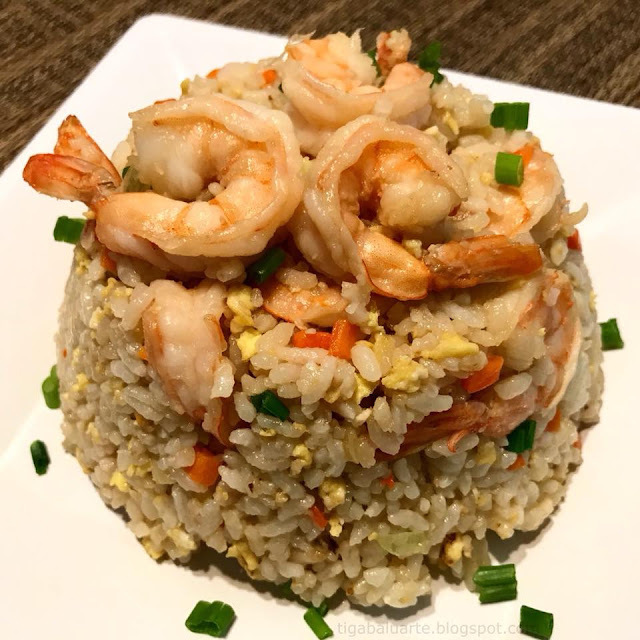 Shrimp Fried Rice is one of my favorite easy to make rice dish. Is it a basic fried rice loaded with shrimp so no need to have other dish as this one is already complete. See easy recipe below. Using a wok or a skillet, heat over medium heat. Add cooking oil, onions, carrots and peppers. Saute for few minutes then add shrimps. Continue cooking for 5 minutes or until shrimp is fully cooked. Stir every few minutes. Stir in rice, mix well. Stir in peas, mix well. Season with soy sauce and sesame oil. Stir and sauté for few minutes. Push rice to the side of the wok. Add egg and cook while stirring constantly until fully cooked. Mix cooked egg to the rice mixture and stir well. 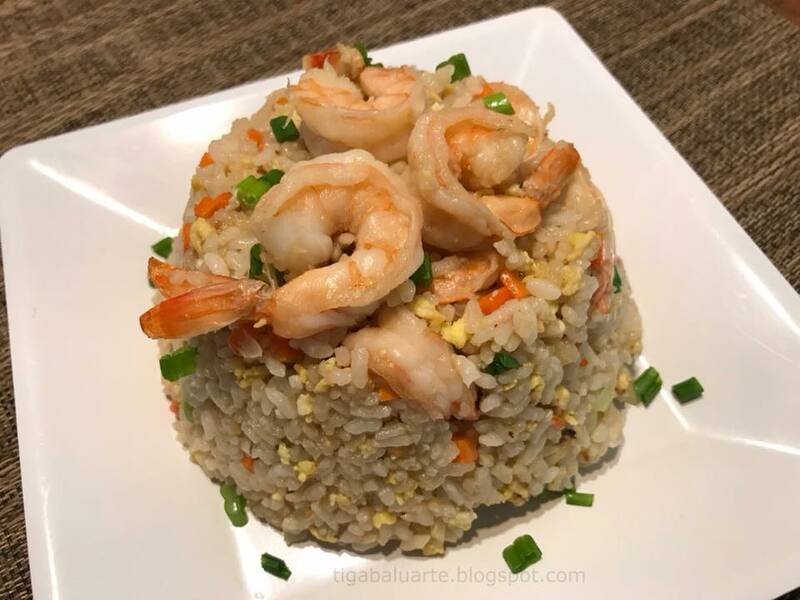 Transfer shrimp fried rice in a serving dish and garnish with green onions. Serve hot and enjoy!